The Music Festival is making additional changes along with its name. The first week of concerts in the summer at the Sun Valley Pavilion, formerly known as the “In Focus” week, will be integrated fully into the Summer Concert Series. Each concert features a “Pre-Concert Chat” which takes place on the lawn and can also be accessed on a mobile phone via live audio streaming. The big video screen will be live from the first concert as well, enabling lawn audiences to see as well as hear the concerts. In addition, all of the Music Festival’s education programs will become part of its Music Institute. The Institute will continue to offer both year-round programs, in partnership with the Blaine County School District, as well as intensive summer programs that run concurrently with the Summer Concert Series. 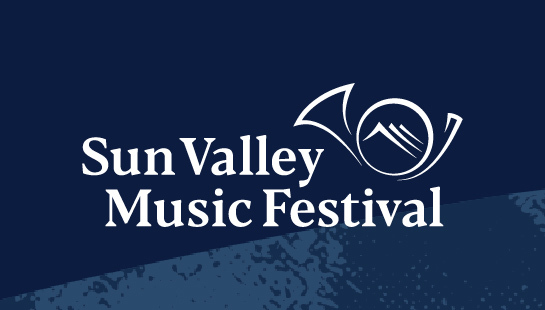 The Music Festival’s new website, live today, is www.svmusicfestival.org. Tickets for the 2019 Gala featuring Branford Marsalis, on Aug. 11, will go on sale to the public next Wednesday, April 10, at 9 a.m. (MT).